For more information, visit http://www.takealoadofftexas.com/residential/heating_cooling. Bringing you the highest standard of service. WELCOME TO HIGHTOWER SERVICE, INC.
Hightower Service, Inc. is your go-to source at heating and cooling needs in Arlington, TX and the surrounding areas. We offer top-notch services from installation and replacement to repair and maintenance at the most competitive price. We know what it means to deliver quality services for heating and cooling systems. We have a unique way of dealing with HVAC concerns. From careful inspection and thorough attention to details, we give every client in Arlington, TX the most comprehensive report and expert solutions to their heating and cooling needs. We have more than six decades of experience and guaranteed services in the field of heating and cooling. And we are committed to giving you exceptional services and unparalleled expertise in the years to come. Schedule an appointment with our professionals and join our long list of satisfied clients. We understand that the season can get too unbearable sometimes and we don’t want you to suffer from the sweltering heat of summer or the icy cold of winter. That’s why we see to it that your residential and commercial heating and cooling systems in Arlington, TX and nearby towns are prepared to face the challenges brought by the changing weather conditions. We offer top-caliber heating and cooling products, indoor air quality equipment and smart devices fit for your energy-efficient home. 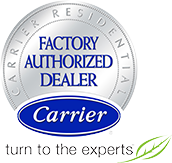 We are a proud dealer of Carrier products, but we also work on all makes and models of HVAC system. Check out our array of quality products that you can use to fit the unique comfort needs of your home and commercial place. We tailor dependable solutions to meet the comfort demands of your place and to support your energy-saving goals. Whether you need help in keeping your units in tip-top shape through regular HVAC maintenance or you need to make an upgrade to enhance energy efficiency, you can always count on our professionals. We have a team of reliable experts who are highly-trained and well-mannered. You can never go wrong in choosing us. From the products we offer to the people we send to your home, we offer the same level of excellence with guaranteed satisfaction, safety and value. No wonder why we become the leading HVAC company in Arlington, TX and surrounding areas. When HVAC problems occur, a technically proficient and prompt response is highly required. With Hightower Service, Inc., you always have someone to depend on. Our expert technicians, field engineers, and office support staff are more than ready to help you with your comfort concerns. Get to know us more by scheduling an appointment today! We can’t wait to give you a service worthy of your time and investment. Contact us today for if you want to learn more about us or to schedule an appointment. Hightower Service, Inc. has been serving the Arlington Area since 1952. HSI is a proud Carrier Factory Authorized Dealer and a President's Award winner. We service all makes and models of equipment both residential and commercial. HSI also offers a complete electrical service department. The next time you need a full service HVAC or Electrical company, give Hightower Service, Inc. a call. Our mission from the beginning is to provide our customers with the best service in the industry. We know our company is only as good as our employees. That is why we retain all of our employees throughout the year. This gives HSI a more consistent workforce, which is an advantage to the customer. We thank you for the opportunity to serve you. Excellent Service! Thank you for being honest, professional and knowledgeable. My new HVAC, ducts and vents have helped my house stay warm. Hightower Services I would highly recommend! Holiday Weekend Service. Received a prompt callback from scheduler...periodic status follow ups regarding technician arrival status. Our technician Cliff was obviously very experienced and capable. I was so impressed with the experience I executed an annual maintenance contract with them..!! This was the best service I've ever received from any service company. I'm going to recommend them to all my friends and neighbors. The service tech is one of the finest and nicest person I've had the pleasure to meet. Friendly, skilled service. Hightower has been taking care of our electrical needs for years. Without fail, they have provided courteous, skilled service. We have used Hightower for years as maintenance and repairs. Juan came out today and did a fabulous job!! All the people there are great. They always offer tips to keep your system running at higher performance!! Thank you Hightower!! !